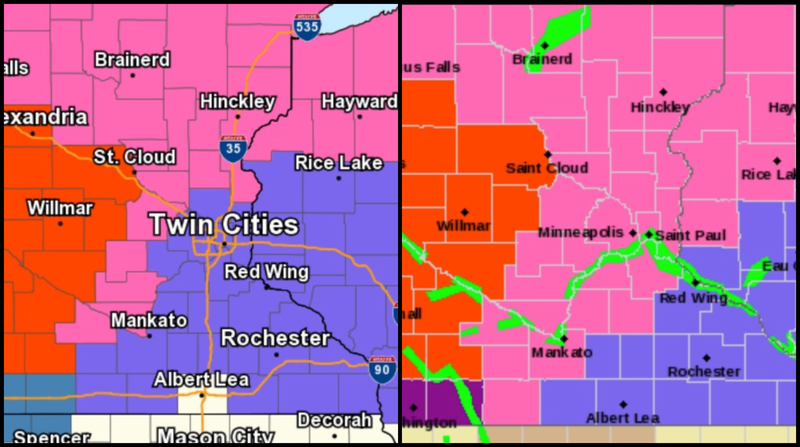 And just like that the National Weather Service has included the entire Twin Cities metro area in a winter storm warning. New inclusions to the warning include Hennepin, Anoka, Ramsey, Washington, Carver, Scott, Dakota, Polk, Barron and St. Croix counties, where 8-14 inches of snow is expected. This is in line with what the weather service was forecasting back on Monday, although earlier today they lowered expected snowfall totals to 2-8 inches. Again, the weather service noted that significant changes are possible with this storm, so further variation in snow totals could still happen. Here&apos;s what to expect, per the warning language. 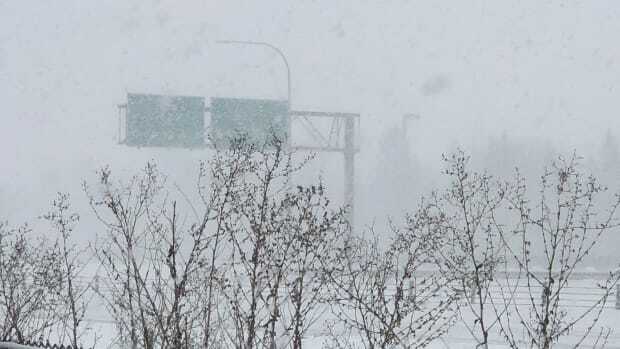 "Snow, heavy at times, becoming mixed with sleet and snow Thursday morning. Snow accumulations of 8 to 14 inches and ice accumulations of up to one tenth of an inch. Winds gusting as high as 50 mph." Here&apos;s a look at the old warning map (left) compared to the new one (right). Here&apos;s a look at the simulated future radar (HRRR model) through Thursday morning, when the bulk of the snow could fall for the metro. Heavier snow totals, upwards of two feet, are still possible in western and central Minnesota. School closures are also expected to roll in as the afternoon unfolds. You can find a running list of closures here. 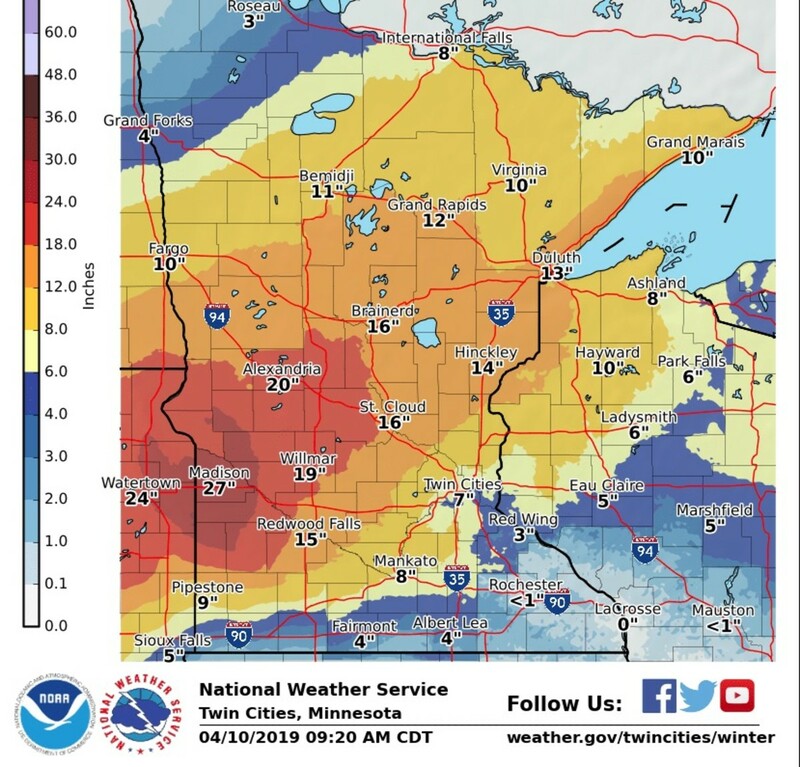 The National Weather Service has issued a new snow totals forecast map, and the numbers are up a bit again for the metro area, and doubled from 4 to 8 inches in Mankato. Stay tuned for updated. Maybe our letter to the weather (Dear Old Man Winter, we hate you. 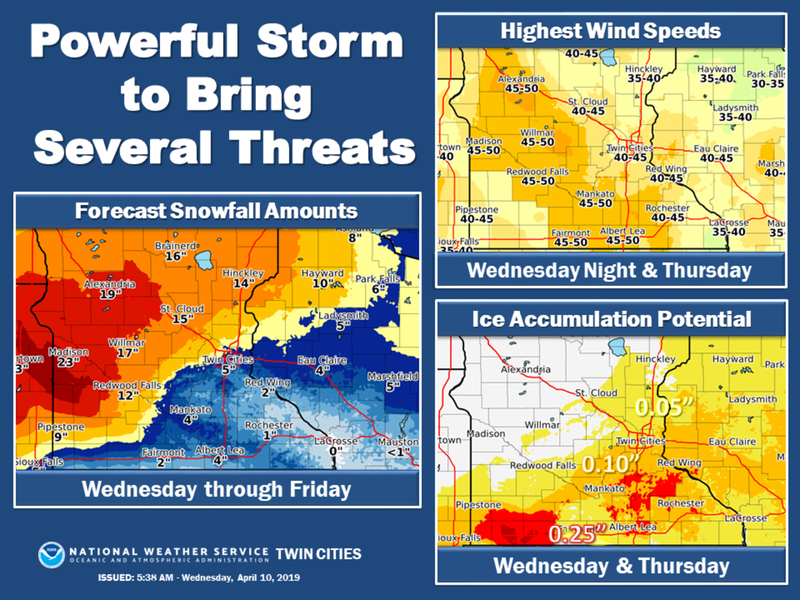 Signed, Minnesota) did the trick, because it looks like the "potentially historic" winter storm heading to Minnesota isn&apos;t going to dump as much snow on the Twin Cities as the National Weather Service originally thought. 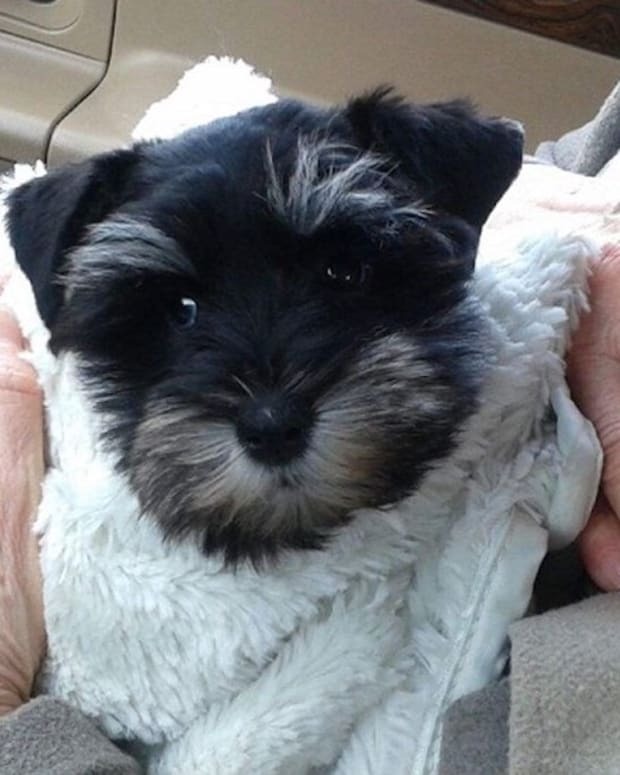 That&apos;s not to say it&apos;s still not going to be a huge storm for other parts of Minnesota, as we explain in today&apos;s Weather MN blog, brought to you by Pet Evolution. Here&apos;s a look at how the rain/snow line that&apos;s been creeping north/northwest has impacted the weather service&apos;s snowfall predictions for the Twin Cities in the lead up to the storm arriving Wednesday and exiting sometime Friday. Monday: 7-15 inches when the winter storm watch was issued. Tuesday: 8-12 inches in the AM, lowered to 4-8 inches in a PM update. Wednesday: 2-8 inches with up to a tenth of an inch of ice. "Please keep in mind that the track of the system may shift slightly and thus precipitation types and amounts may vary from the current forecast," the NWS Twin Cities says in the Wednesday morning forecast discussion. The storm remains potentially historic, especially in western, southwestern and central Minnesota where some big-time snow totals are expected, with 12-24 inches possible. Here&apos;s a look at the NAM12KM computer model showing snow (blue), mixed precipitation (pink), freezing rain (red) and rain (green) all working through the state through Friday afternoon. Is this storm a bust? When anyone claims this storm "busted" – and they will – they&apos;re 100% wrong. This storm is a monster. 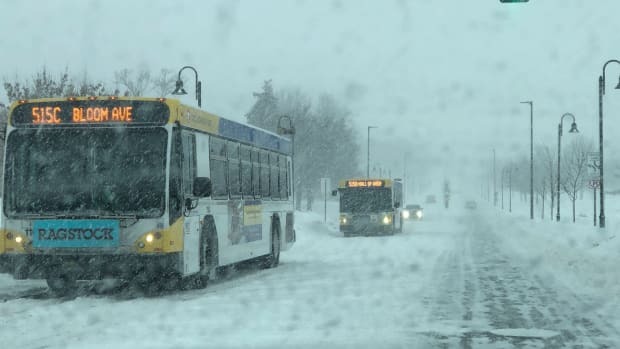 Just because it&apos;s not currently projected to smash the metro doesn&apos;t mean thousands of Minnesotans aren&apos;t taking a Mike Tyson-like uppercut from Mother Nature. While the forecast for the metro has shifted, the NWS throughout the past few days has said that snow totals as high as 2 feet were possible – and nothing has changed about that. Western and central parts of Minnesota were always projected to be the hardest hit from this storm, and that continues to be the case. And looking at the map above it&apos;s not like the metro area is going to avoid it completely, particularly with parts of the northern Twin Cities in line for upwards of 8 inches – in April. What&apos;s more, with more ice now in the Twin Cities forecast that&apos;s arguably going to make conditions even more difficult on the roads, so it was worth getting an early heads up that this storm was likely going to affect travel for that reason alone.